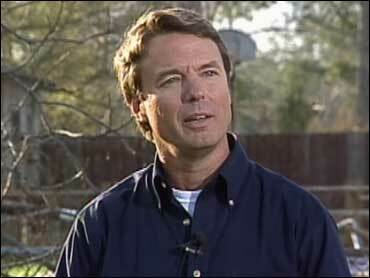 So, John Edwards has thrown his hat into the presidential ring. Unfortunately, he has a losing message, and his ultra-liberal approach will elicit only a small niche of support among the ultra lefties in the Democratic party. Democrats know (or, at least, I think they know) that their success in the 2006 midterm elections was largely a function of their best efforts to imitate Republicans. The conservative Blue Dog Democrats were the tail that successfully wagged the entire Democratic dog. That said, if John Edwards somehow managed to reverse this tide and win his party's nomination, he would lead Democrats to a crushing defeat in 2008. For starters, he wants to cut and run from Iraq. Such an ill-conceived policy would leave this budding nation in shambles, with terrorists following us back to the United States. It would extinguish the candle of Iraq's democracy experiment — an experiment that could still pay enormous dividends if the U.S. follows through with a bold new troop-surge strategy and a refurbished plan of economic reconstruction. These actions — not cutting and running — are what will stabilize Baghdad and Iraq's democratically elected government. On the domestic side, Edwards fares just as badly. He is recycling an old page from the liberal Democratic playbook: He says that he wants to make fighting poverty the great moral issue of our time. And he says he'll accomplish this by taxing the rich in order to help the poor. Oh, really? Tax capital in order to create new jobs? Haven't we learned that you can't create new jobs (for the poor or anyone else) without healthy businesses and plentiful new business creation? Don't we understand that businesses require capital in order to expand? Haven't we grasped that punishing success through higher tax rates that make it pay less to work, save, and invest will only reduce investment, jobs, and prosperity? Edwards forgets that entrepreneurs, not governments, create long-lasting jobs and growth. Rather than government spending, it is economic freedom, through a strong incentive structure inside a market economy, that opens the door to new opportunities so that the non-rich can get rich. What's more, Edwards has failed to consider the fact that poverty has fallen steadily for decades. Pro-growth, market-oriented policies launched by Ronald Reagan twenty-five years ago unleashed record wealth creation and economic growth that continues to this very day. Economist Diana Furchtgott-Roth has shown that total compensation and consumer spending for all five income quintiles have steadily increased over the past three decades. Economist Alan Reynolds has shown that the percentage of households with inflation-adjusted incomes lower than $35,000 has actually fallen from 52.8 percent to 40.9 percent since 1967. Wait — it gets even better: Households with real incomes higher than $50,000 rose from 24.9 percent to a remarkable 44.1 percent in this period. In other words, the middle class is shrinking because America's families are getting wealthier. And lower-class jobs aren't vanishing due to some Lou Dobbs protectionist conspiracy theory. They're drying up because our technologically driven, knowledge-based economic pie keeps expanding. John Edwards doesn't understand that without incentives to reward successful investing, entrepreneurship, and risk-taking, everyone gets poorer — right on down the line. Additional investment taxing is precisely the wrong policy for improving wealth or poverty. Class warriors on the left are loathe to admit it, but America's poor are a whole lot less poor when public assistance programs like Social Security, Medicaid, the earned income-tax credit, and other social-benefit plans are included in the poverty data. But Edwards and others of his misguided ilk have a nostalgic yearning for the Great Society programs of the mid-1960s. You'll recall that these policies dramatically succeeded in raising poverty and reducing wealth. What a neat idea. Edwards, of course, launched his campaign in New Orleans, with a plea to spend even more taxpayer dollars for that beleaguered city. Well, why not? We've already thrown $120 billion at it! Instead of the hackneyed, Great Society, anti-poverty approach to New Orleans that Edwards would expand, the Big Easy and the U.S. would have been much better off had we made the entire city a tax-free zone — with the tax burden limited only to what people spent or consumed, not what they invested or earned. This supply-side approach would have delivered swift currents of investment. It would have all but guaranteed a swift recovery. But John Edwards appears unable to grasp this line of thought. He's just another class warrior who fails to recognize that when you slam wealth, you raise poverty. Is that what we really want in our next president?